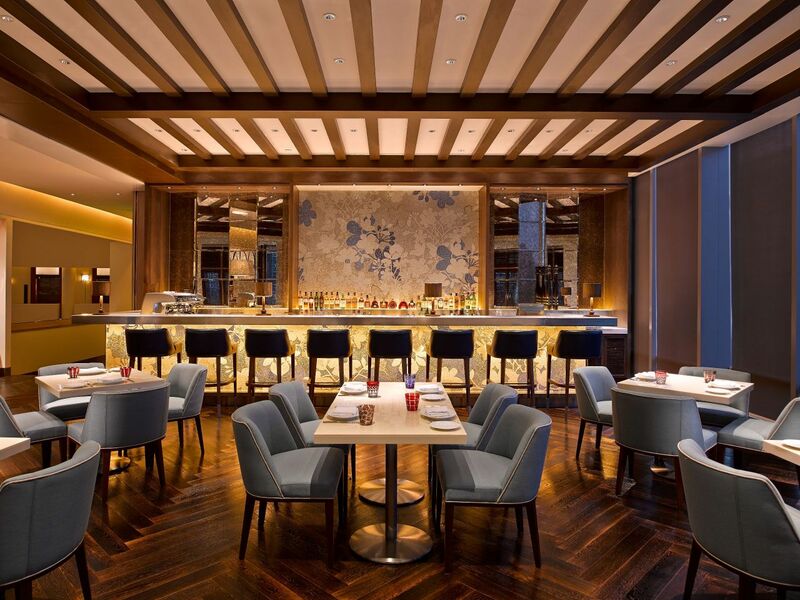 Five restaurants and bars provide a wide selection of food and wine options. 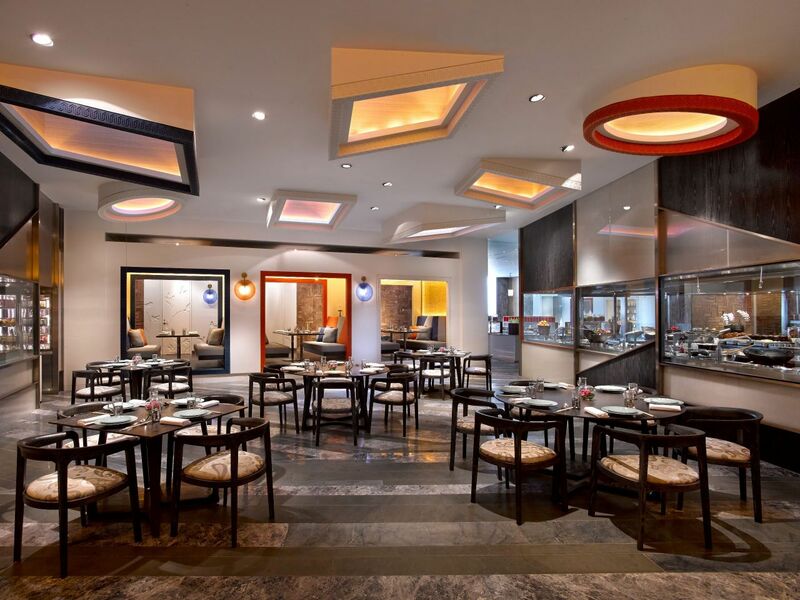 Experience a culinary adventure featuring fresh ingredients and a la minute cooking ranging from Chinese, Asian, Western and a Pastry counter featuring a colourful and abundant dessert selection. Monday to Friday: 6:30 a.m. - 10:00 a.m. Weekends & Public Holiday: 6:30 p.m. - 10:30 p.m.
Monday to Friday: 5:00 p.m. - 9:30 p.m.
Saturday to Sunday: 5:00 p.m. - 10:00 p.m.
Our signature Chinese restaurant offers authentic Suzhou cuisine featuring open kitchens with live cooking stations, in addition to the signature Peking duck, roasted to perfection in an authentic fruit wood-fired oven. The restaurant has six private dining rooms. 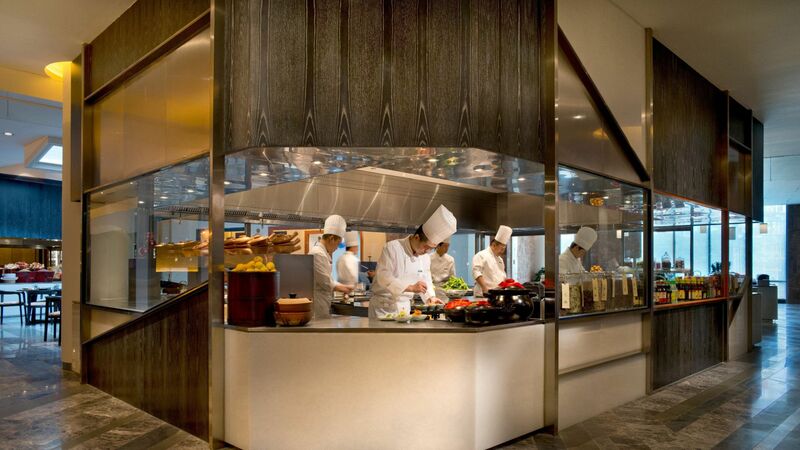 Provides seafood and steak grilled cuisine, seared to perfection in a contemporary setting. A cozy private dining session is available for business entertainment and all types of gathering. Enjoy a relaxing Saturday/Sunday brunch at The Fireplace, priced at just CNY298+15%（Inclusive of service charge and tax）for your choice of main course, antipasti and dessert buffet, inclusive of non-alcohol cocktail and juices. For an additional CNY99+15 %( Inclusive of service charge and tax), enjoy free-flowing Prosecco, house wines, selected beer. Weekends & Public Holiday: 11:30 p.m. - 2:30 p.m. Tea House on the ground floor combines the conviviality of a traditional Chinese teahouse with a modern style and provides Suzhou local flavor. It serves light snacks, beverages and cocktails. By day, it’s a great place to work, meet and socialize with free WiFi. 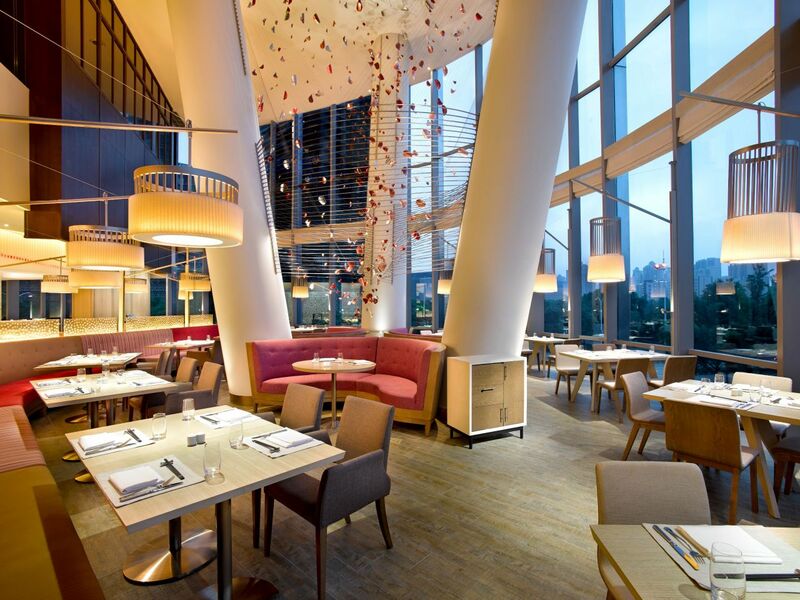 By night, it transforms into a relaxed bar. Tuesday to Sunday: 8:30 p.m. - 11:15 p.m. 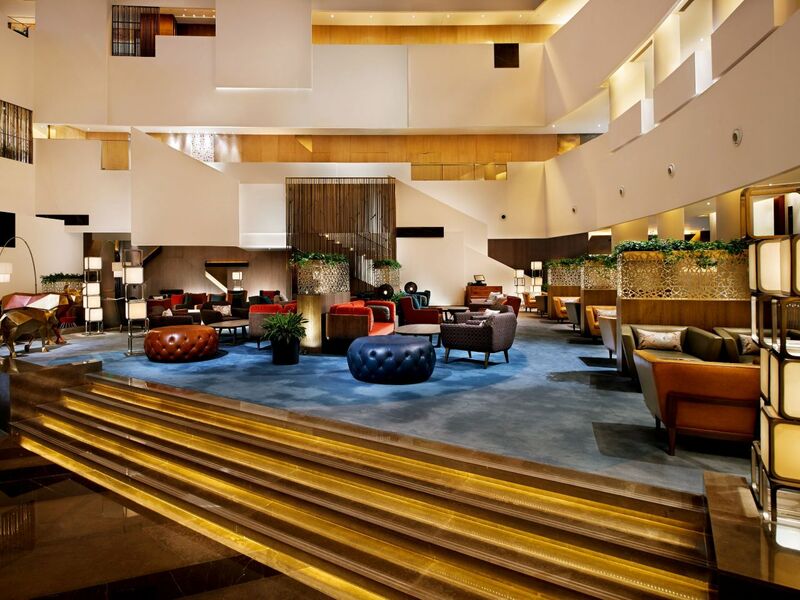 Located in the heart of the hotel’s lobby, under an impressive 29-floor high atrium with natural light, The Atrium is the perfect place for informal business meetings or social gatherings with its sleek, modern design. Pastries and savoury items are available in addition to Afternoon Tea in custom-designed lacquer boxes. 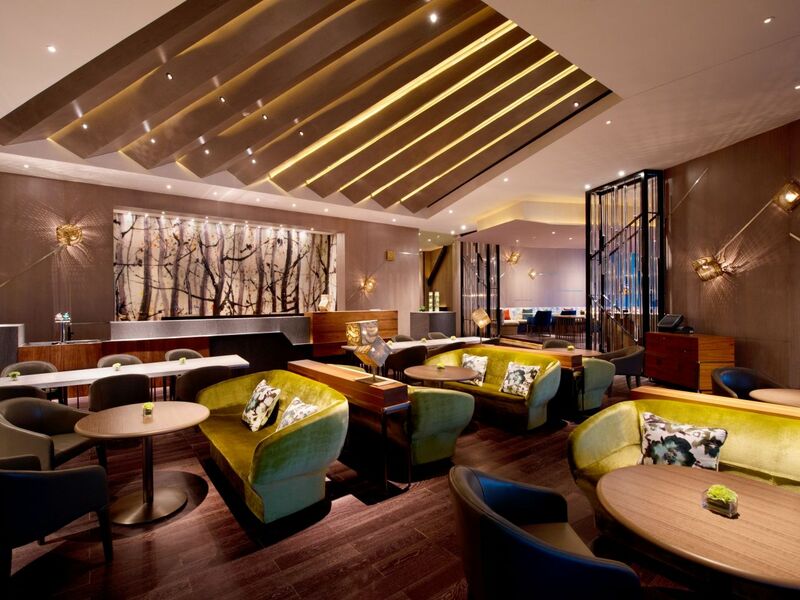 Enjoy a wide selection of wines, cocktails and coffees, plus premium teas presented by knowledgeable tea connoisseurs. Friday to Saturday: 2:00 p.m. - 5:00 p.m.